With whom did you want Ginny to end up? 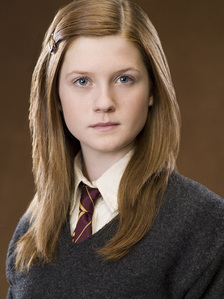 Who do you think Ginny would be best with? Do you think Bonnie Wright and Daniel Radcliffe got the Harry/Ginny chemistry right in the movies? Do you think Ginny's Pygmy Puff,Arnold,is cute? What is the best ship that includes Ginny? ginny is supose to be evil i know it. J. K. Rowling just didn't want to freak out her readers. an answer was added to this question: What is the best ship that includes Ginny? a comment was made to the poll: With whom did you want Ginny to end up? Who did Ginny date in her fourth year?